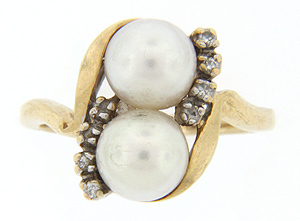 A pair of lustrous pearls catches the eye on this 14K yellow gold estate ring. 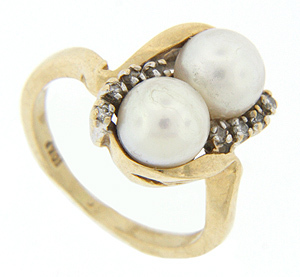 Quartets of diamonds flank the pearls which measure 6-7mm in diameter. 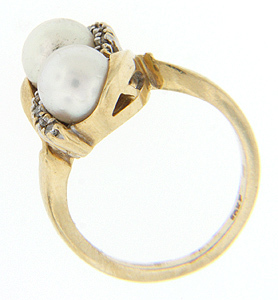 The ring measures 14mm in width. 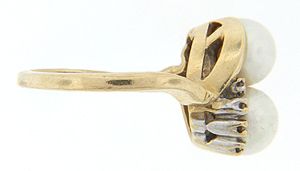 Circa: 1960. Size: 5+. We can resize.